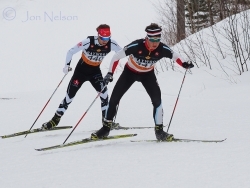 Greg Kilroy of Big Thunder Nordic heads up a hill at the Lappe Nordic Centre. Andy Shields raced to a Silver Medal for Lappe Nordic in the Open Men's 10km Skate competition. 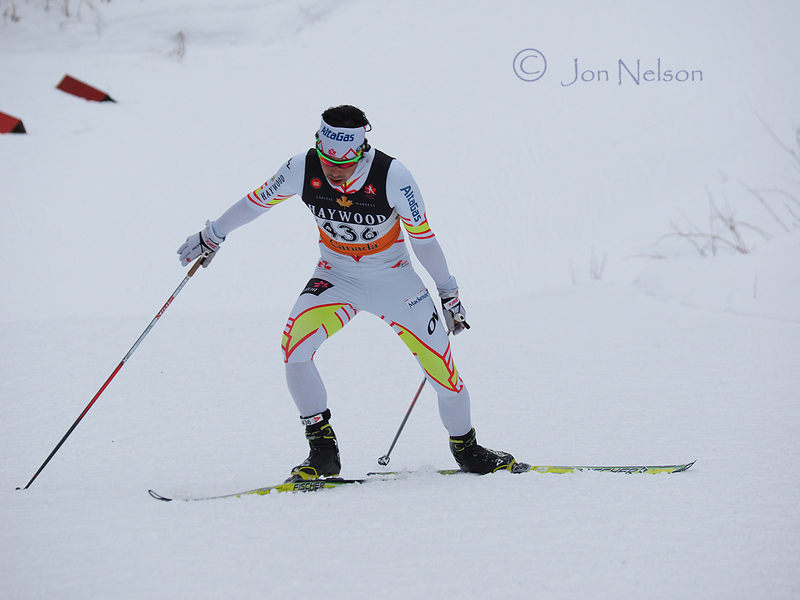 Nipissing's Jordan Cascagnette accelerates on a flat section of the course. 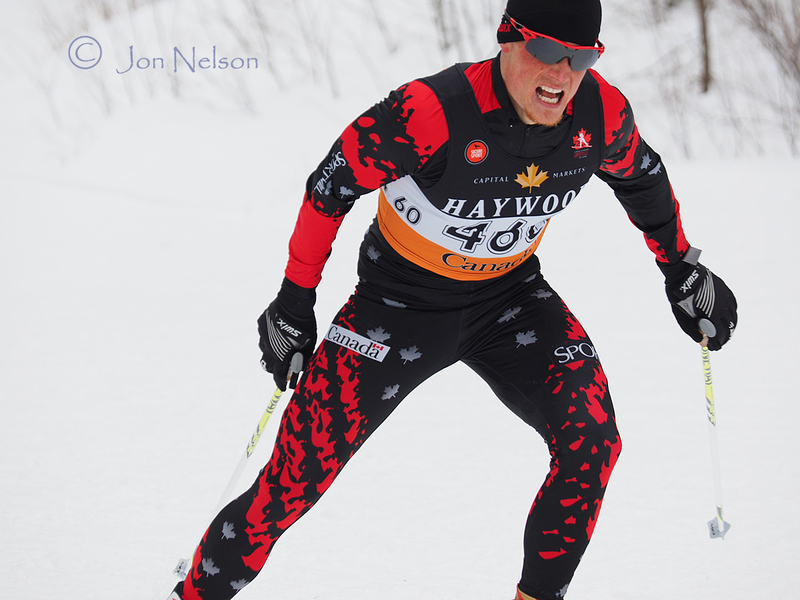 Karl Saidla of XC Ottawa heads up Pilon's Hill at the 2015 Ski Nationals . 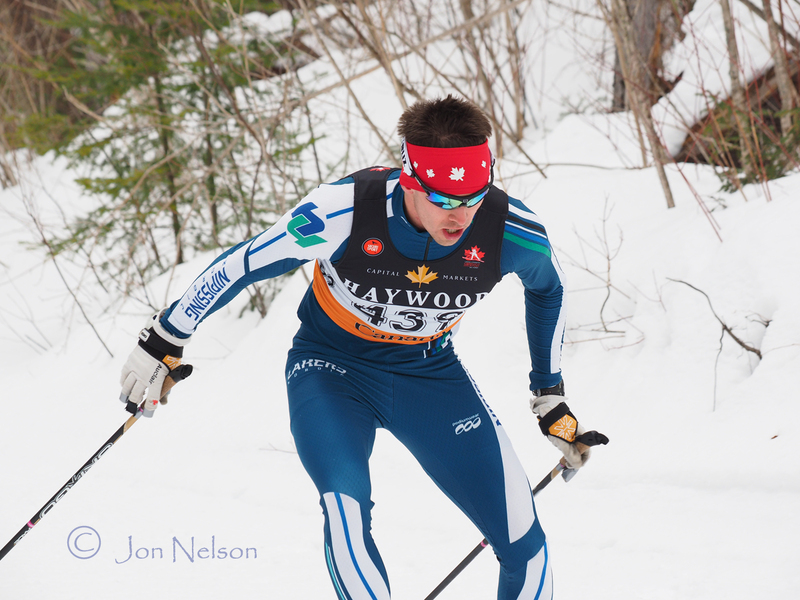 Conor Thompson uses his poles as he approaches the top of another Lappe hill. 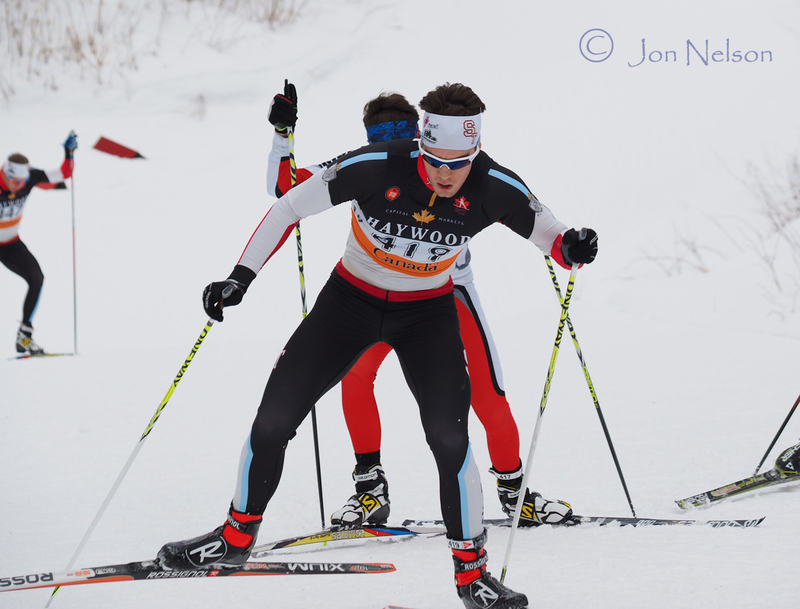 Nicholas Monette from Team Hardwood and the Alberta World Cup Academy works his way up Pilon's Hill. 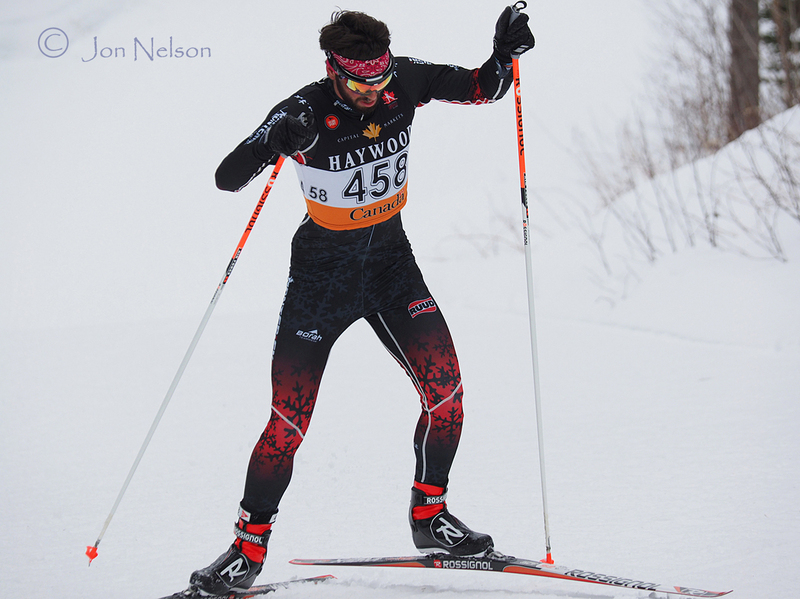 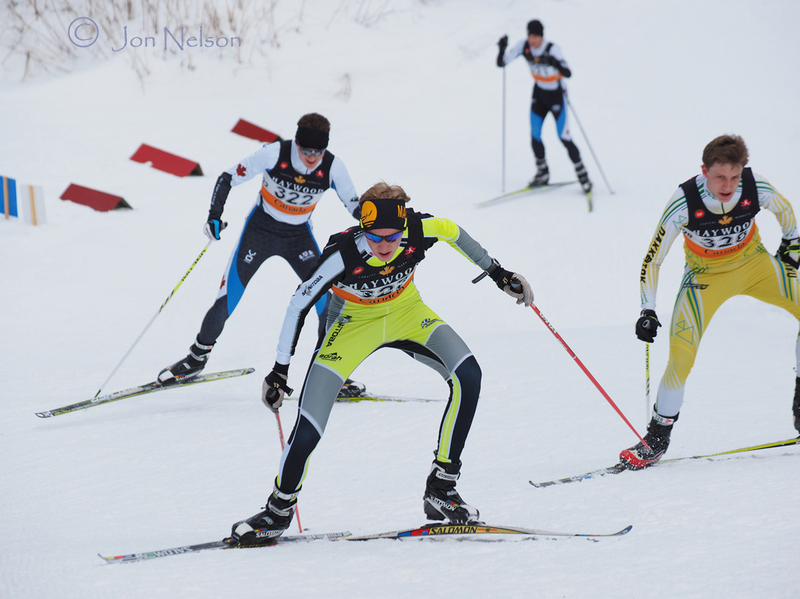 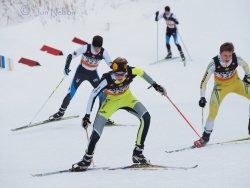 Levi Warkentine of Boundary Trails Mb leads a synchronous dance up a hill at the 2015 Ski Nationals. 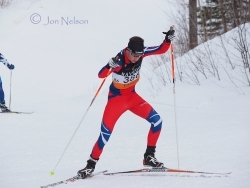 Mitchell Slobodian from Nakkertok zooms down a hill at the Lappe Nordic Centre. 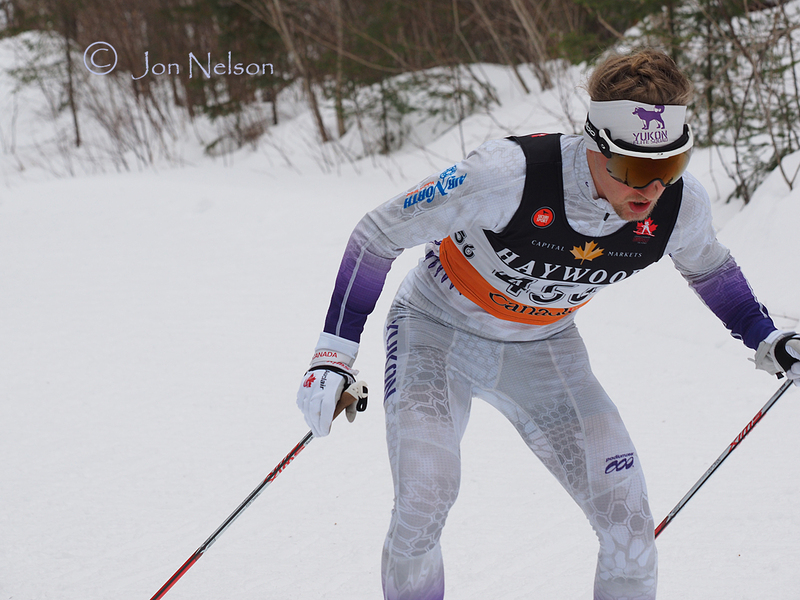 Jesse Cockney, skiing for Foothills Nordic, works his way up one of the last hills in the Open Men's 10 km race. 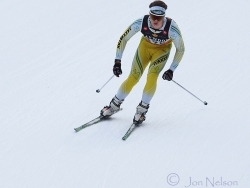 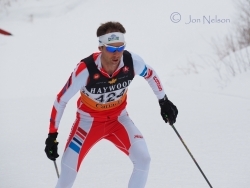 Kevin Sandau, skiing for Foothills Nordic went on to win Bronze Medal in the Open Men's 10 km race. 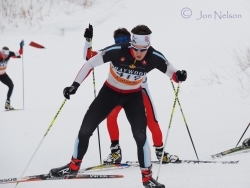 Knute Johnsgaard raced to a Bronze Medal for Whitehorse with teammate Colin Abbot in the Open Men's Sprint. 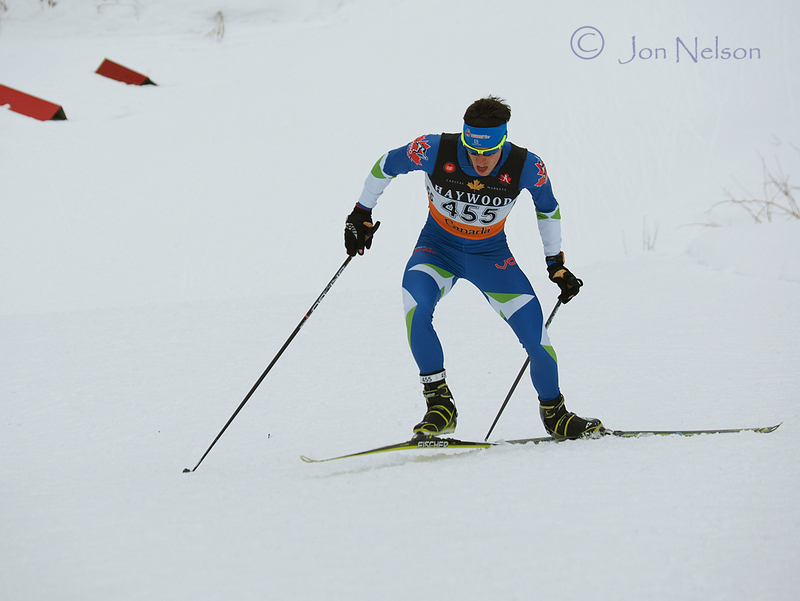 Montériski's Antoine Hebert works his way up a hill with another skier in pursuit. 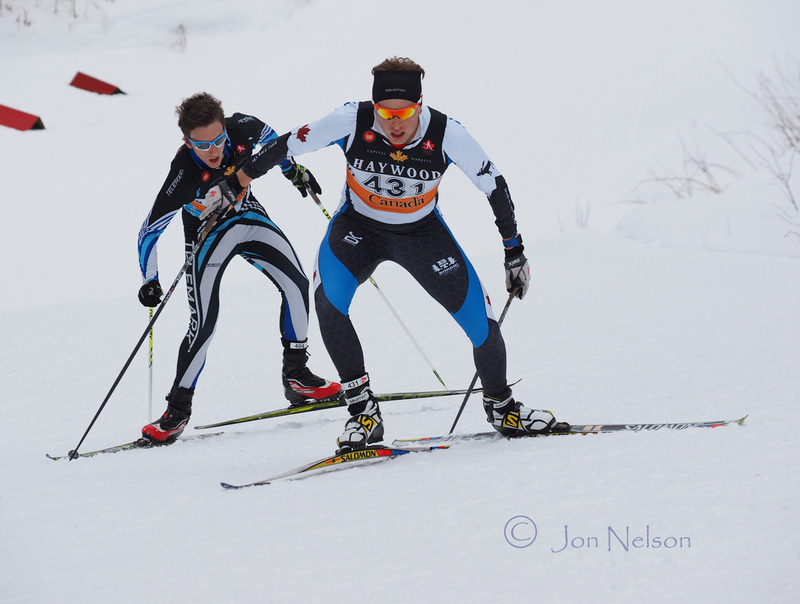 Russell Kennedy chases Samuel Greer up a long hill. 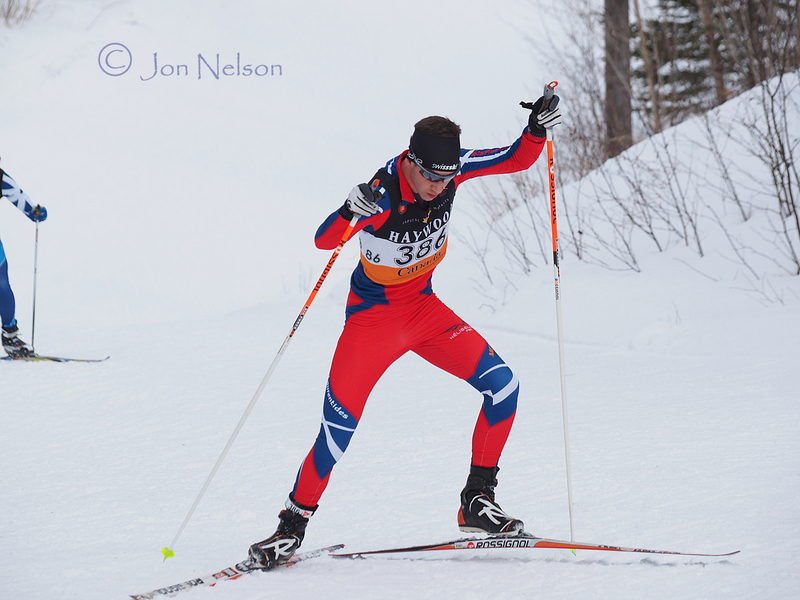 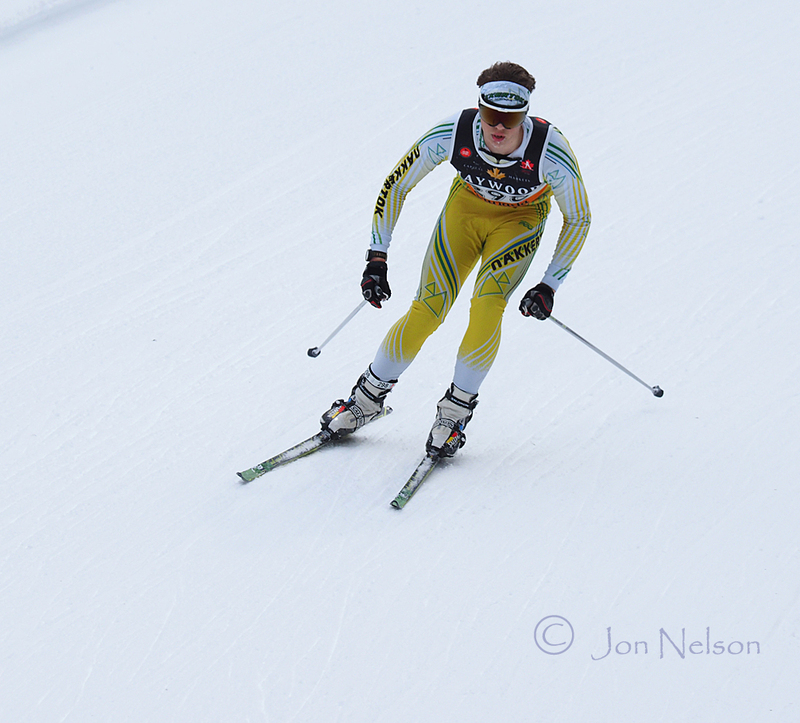 Adam Kates nears the top of the Pilon's hill at Lappe Nordic Centre. 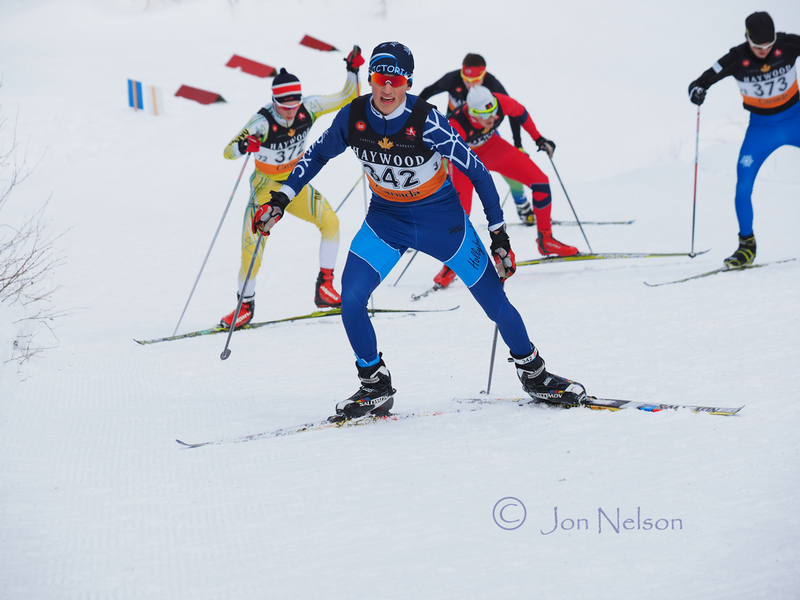 Mattan Guttmann from Hollyburn in British Columbia leads a group of skiers. 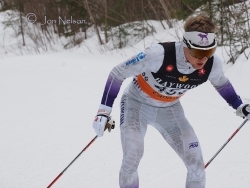 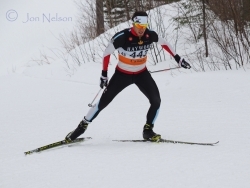 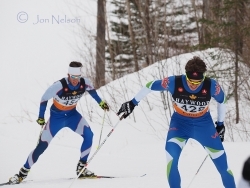 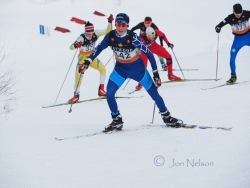 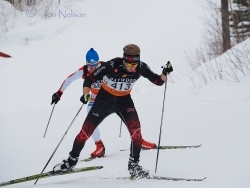 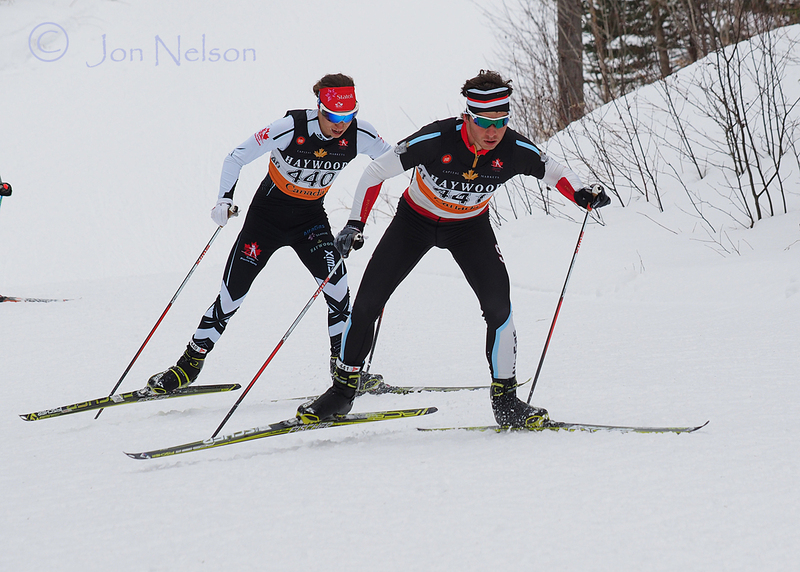 Lappe Nordic's Michael Somppi won Gold in the Open Mn's 10 km Skate race at the 2015 Ski Nationals .